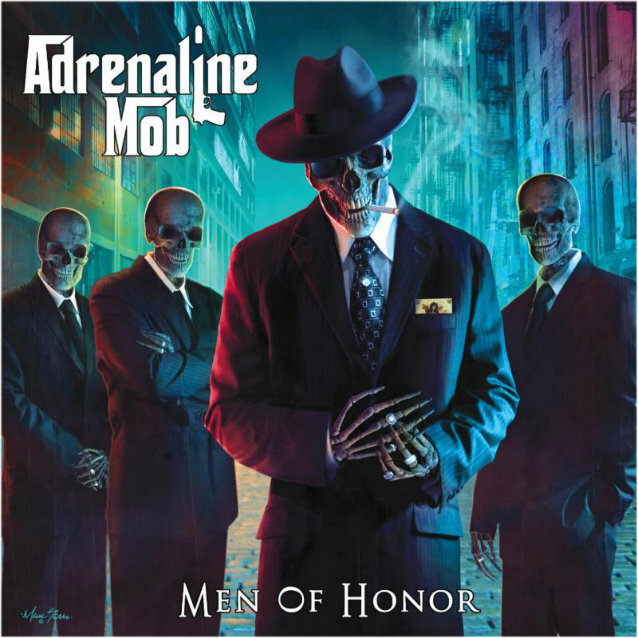 "Men Of Honor", the title track of the second full-length album from ADRENALINE MOB, can be streamed using the SoundCloud widget below. ADRENALINE MOB recently inked a North American deal with Century Media Records, the label the group was previously signed to only for the European territory. "Men Of Honor" will be released February 18 in North America and February 24 internationally. In a recent interview with Brazil's "Wikimetal", Allen stated about Portnoy's departure from ADRENALINE MOB: "He's been, obviously, real busy with THE WINERY DOGS. The truth of it is we wanna keep working, we wanna keep doing ADRENALINE MOB and we don't wanna wait around for Mike to have the time [to put into ADRENALINE MOB]. And he doesn't know when he will have the time again, so that's really what's going down. Mike Portnoy was asked to be in the band by myself. Me and Orlando had already written all the material, so [ADRENALINE MOB's debut album] 'Omertá' was completely finished before Mike joined the act. And it's a bummer, but he's got his sights on other things, and he's not gonna stick around. So we wish him the best of luck, but the MOB's gotta go on."